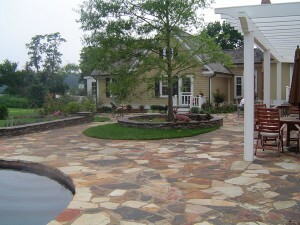 Hardscape projects have become increasingly popular as people discover how the wide variety of shapes, textures, and colors can lead to an infinite flexibility of design. The low maintenance benefit of hardscapes means you will spend your afternoons enjoying your F. A. Hobson Landscaping designed backyard instead of working on it. When you have a custom designed hardscape from us built, you are getting a one of a kind patio, walkway, driveway, retaining wall, etc., that will increase your living space, add value to your home, and most importantly… Give you an outdoor sanctuary that you will be proud of. Give us a call at 410-739-6800 and let’s get going…Spring is almost here!